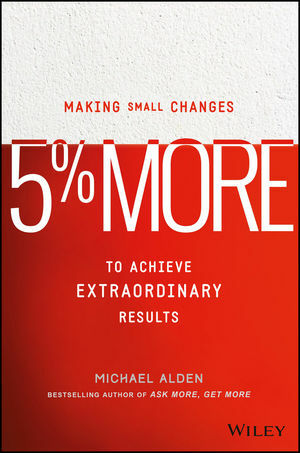 Although much of Alden’s advice is based on personal experience, observation, and common sense, he is careful to discuss the studies and research that support his ideas throughout the book. Spend 5% more time with your current customers: It is much smarter to spend a little more time with your current customers than to chase new “leads.” Your customers have already decided to buy from you. The key is to make sure that they are satisfied -- or better, yet, delighted with your product or service. Increase results by 5%: Stop focusing on activities, and focus on results instead. Looking at how to increase results, even by a small amount, will help you identify and eliminate actions that waste time. Do something 5% differently than your competitors: Be a little more creative and think a little bit harder than your competitors. Whether it is going the extra mile in customer service, or offering a product that's just slightly better than that of your competitors, makes the difference in winning sales. 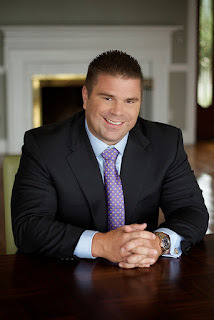 Alden is the founder and CEO of Blue Vase Marketing, a multi-million dollar marketing firm that has been ranked by Inc. Magazine as one of the fastest growing private firms in America. Alden is also a recipient of SmartCEO Magazine’s 2016 Future 50 Award. His first book, Ask More, Get More, was a national bestseller. For more information, visit his website.